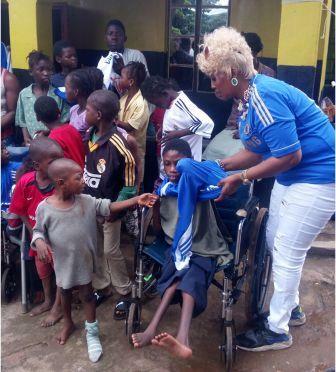 Chelsea Football Fans have praised disabled children in Sierra Leone for supporting the North London outfit. This revelation was made by the founder and Chief Executive Director, Disabled International Foundation Sierra Leone/UK, (DIF-SIL), Madam Imambay Kadie Kamara on Tuesday 30th August at a donation ceremony held at the Mahanaim Disabled Orphanage Home for Children at Grafton in the Western Rural District. Melrose Boyawah, the home mother said, Disabled International Foundation Sierra Leone has contributed immensely towards the home, adding that madam Imambay Kadie Kamara have worked in diverse ways to champion disability issues in the country and also praised DIF-SIL for taken the lead. The Vice Chairman, Polio Challenge Association, Tamba Korku said, the orphanage home comprised of different categories of persons with disability except the blind but lamented that lack of sufficient education materials, feeding and medical services is threatening the running of the home. He also highlighted the need for permanent donors to come to the aid of the orphanage and appealed to DIF-SIL for more support. Simon Kamara chairman of Polio Challenge Association described the home as an outfit of Polio Challenge persons and catalogued the challenges faced in providing food for particularly abandon disabled children. He continued that, Government is yet to meet the needs of disable persons as most gestures come from generous donors and recalled that, preference should be given to persons with disability taking into consideration of the fact that, the current Human Right Commissioner is a disable. The chairman further enlightened that the home comprises of twenty (20) children of which ten (10) are boys and ten (10) girls from ages 3-18 years old. In her statement, the Chief Executive Director, Imambay Kadie Kamara expressed delight to be in the midst of people she expressed desire to help and worked with but stressed that disability is not inability. 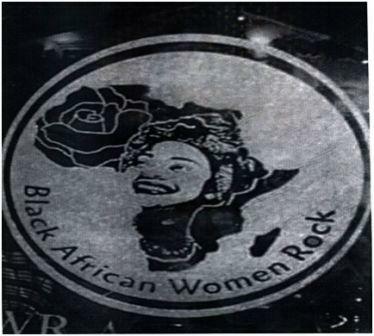 She continued, ‘‘as a human right advocate she need not to be rich to change the lives of the needy but the mind set to transform people to become self reliant is a drive from God the creator’’. The Director also disclosed that her purpose is to donate to the home wheelchairs and football jerseys to the Football team that would enhance them their livelihood. Kamara said, the items were donated by some Chelsea Football fans in the United Kingdom to bring smiles on the faces of children living with disability in Sierra Leone but admonished the items to be utilised for the intended purpose. She continued, ‘‘With Disabled International Foundation Sierra Leone, I hope to meet the needs of our vulnerable beneficiaries’’ and assured to some extent, this she promise will not do in isolation but in total commitment through the government of Sierra Leone and donor partners. Madam Kadie Kamara applauded President Koroma and the government of Sierra Leone for their tireless efforts for the less privilege and recalled how Sierra Leoneans were discriminated during the Ebola outbreak.